I have experimented it severally and that is why I am here. I love the mantra that says "abs are not made in the gym, they are made in the kitchen", and on your plate. Let us start from the anatomy of abs and then move on to what happens to either create the 'bulge' or the 'packs' we get at a time or the other. 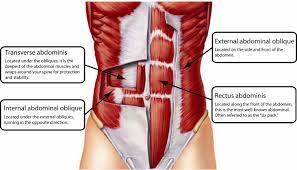 The abdominal is made up of different muscles on the front, side and middle of the abdominal area. When we think of the abs, most of us are focused on the flat muscle that travels down the front of the belly, from just below the chest to the pelvic area. This muscle, called the rectus abdominis, is often called the "six-pack," because there are three tendinous creases there that separate the muscle, giving it that washboard look. The rectus abdominis is responsible for spine flexion, which involves bringing the shoulders toward the hips, as in a crunch, and is involved in most abdominal exercises like crunches. Which, frankly, are my least favorite exercise for the abs. What I like? More functional, standing ab exercises. There are other muscles besides the six-pack, though. The internal and external obliques are located on either side of the body, attaching on to the ribs, and are responsible for spine flexion and rotation. Whenever you turn or rotate the torso, the obliques are involved. The external obliques run diagonally (in the same direction as if you were putting your hand in a pocket), and the internal obliques lie under and almost at a right angle to the external obliques. Excess calories turns to fat and stores in the body including the walls of the belly and how much of fat sitting in your belly depends on the your body shape, for example apple shaped or endomorphs have the tendencies to have more fat in this part of the body than other places and they are at greater risks of heart disease and diabetes. It is important to note that you cannot spot reduce an area of your body. Losing body weight generally will have a great impact on your internal organs and your abs too. Cardio helps to lose weight and strength training tones the body, so these two forms of exercises can be of great help. However the best help that can be done to reduce the fat in the body is to reduce how much food you consume and especially the ones you would not be needing. Either you cut down on your meals or your create a deficit with your activities. It is important to note some steps to take in reducing your abs size or in keeping it firm and strong if it's already flat. 1. Reduce food portions: Overeating any food will convert the calories not needed into fat and one of the very places the deposits of fat starts are the internal organs. When your organs increases in size due to your diet, you realize the first place to react is the walls of your abs, it maybe slow or fast but the distention might be so unnoticed and maybe too bad before you realize it. Calculate your BMI, BMR and you will be able to determine what you need in a day. 2. Reduce Carbohydrates (I am so guilty of this): High intake of carbs especially simple carbs like all the "white carbs", sugar, sweets etc leaves behind just fat and the packs disappears to show a rounded unhealthy belly. Instead try complex carbs and fibres. 3. Be Active: There is a lot of happenstance to a body that is not active. I always likened it to an unused car, it will look neat and beautiful but the day when the need for a use arises the tires burst suddenly for inactivity. That is what could happen to the body that is not exercises, it keeps deteriorating with fat accumulation. Even when there is no time to workout, make sure to be active like walking instead of driving, take the stairs instead of the elevators, clean your house yourself, play with the kids etc. 4. Core Exercises: Having flat abs is not a guaranteed super health but it could be a good sign that the internal organs are in good condition, a strong core is equally very important. Your core helps you to stand straight and strong, so exercising this part of the body gives you a good posture altogether. Crunches, Russian Twist, Side Bends etc are all good to strengthen the core.